You must be a member of the Utrecht Wellness & Lifestyle Group to attend this activity. Would you like to join this group? 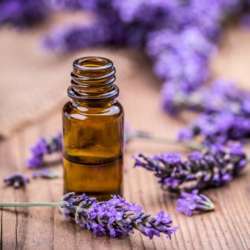 You will learn about essential oils, how they are made, how they work and what they can do for you in your daily life. Also will there a topic on how you can use them by (trapped) emotions. 1) You are an Albatross member at InterNations to attend this event. ; Basic members cannot attend an event as per guidelines of InterNation, therefore I cannot give all information about this event to Basic members. 2) The event venue is in Apeldoorn; It might take an hour to travel from Utrecht. 3) Pre-payment is required to be listed. Please contact me by PM to obtain payment details. 4) Cancellations are allowed till 20th of Feb Protected content refund available after this date. 5) This workshop will be offered either in English or the Dutch language.